I’ll always think of this as the book I wrote on the kitchen table. That doesn’t sound extraordinary, but it was very unusual for me. 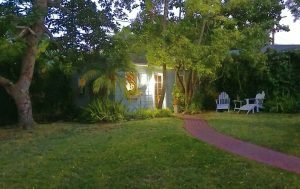 After all, I have my sweet office in the back of our yard as a perfect writing haven. But in early January 2017, I took one step down onto our patio and could tell immediately that something had gone very, very wrong. I already knew I was overdue for a knee replacement, but now I couldn’t put any weight on that knee at all. My first thought was, “Now I’m going to have to have the knee replacement.” Indeed, I had sprained all the ligaments in my knee except the ACL, and had a complex meniscus tear. But that problem was minor compared to the amount of arthritis in that knee. I probably would have been in surgery within two weeks but there was one big problem. 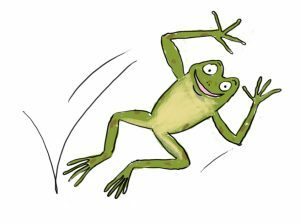 OG THE FROG! I was under contract to write the first book looking at Room 26 from the point of view of that other classroom pet. I’d already started, I had a deadline – the ball was rolling. I didn’t want to delay the book, so I put off the surgery for 5 months so I could finish. Because of a previous neck surgery, I was only working on a desktop computer, so I immediately ordered a laptop because I literally couldn’t make the 50 steps or so from my house to the office. I was rolling around the house in a desk chair, but we have a couple of steps to go outside so that was too difficult. I made one trip to the office to get any supplies I might need and I moved into the kitchen. I am used to writing in solitude with only the sounds of the birds chirping and the squirrels scurrying around my office. I have a very thoughtful husband who never comes out to the office and interrupts unless it’s a true emergency. (They say it takes five to ten minutes to get back up to speed if you are interrupted.) I rarely even bring the portable phone to our landline out there unless my husband is gone and I keep my cell phone muted so I can screen my calls and not hear the sound. Writing in the kitchen meant phones and doorbell ringing, husband coming in to eat lunch (inconsiderate of him, right?) and more interruptions in general. Guess what? I found out I’m not such a special snowflake about writing after all. 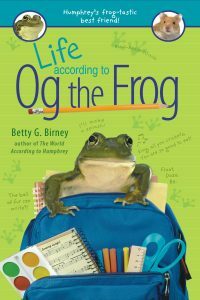 I was so completely engrossed in creating Og’s past life in the swamp and writing funny songs, I barely noticed any of it. I kept my laptop free from most apps and made it more difficult to go on the internet. All my attention was on Og’s story. I did miss my office, but not enough to struggle to get out there. The squirrels were probably glad to have the territory all to themselves. In the end, I think that being so totally focused on the story made me able to ignore the pain, so in a way, Og did me a favor. Knee replacements require a long recovery (a year) lots of physical therapy, lots of meds. But my husband was a wonderful nurse and a few weeks later, Og’s copy editing came back which I could handle at the kitchen table. I had no pressure to do anything except heal – and the healing went well. I was always ahead of the milestones they gave me – even in the hospital, I got out a day early because I met all the PT requirements. I just passed the one year mark and my knee is great. I do Pilates twice a week and have gone back to a walking program. I’m stronger in every way. And I just had the other knee checked out, and it only has moderate arthritis around the kneecap. It pops sometimes, but I don’t need surgery. I’m back in my office … and I just did a major cleaning and restructuring. But I still write at the kitchen table sometimes. It’s cozy in its own way, with large windows looking out on the yard. And there are squirrels there as well. If you want to see why we don’t have bigger avocado crops, check this link to a video taken through that kitchen window. I love how he uses his little paws just like hands. 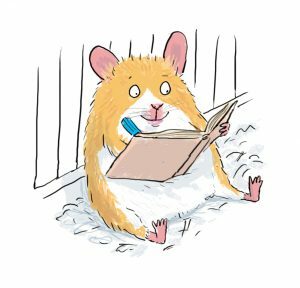 Humphrey takes his job as a classroom pet VERY-VERY-VERY seriously (and so does Og, as you’ll learn when his first book comes out in July) … but he is far from alone in the category of working animals. Dogs are particularly suited to many jobs from security dogs at airports, police and war dogs, cancer-sniffing dogs, dogs that visit hospitals, rehabilitation and retirement homes and rescue dogs (oh, the hard work of dogs after 911 and the Oklahoma City bombings). But SCHOOL dogs? I did encounter a working school dog during the years I spent traveling around the country and speaking at schools. I wish I could remember where. That fine dog’s regular visits were calming and helpful to students struggling with reading. They could read to her and her complete attention and lack of judgment fostered the confidence they needed to move forward. And now, please meet the very handsome Thabiso! His name aptly means “Bringer of Joy.” As his partner in this work, Allison Smith, says, “He visits libraries, an assisted living facility and a homeless shelter as well and is closing in on 800 total visits made.” Thabiso has been visiting 4th grade classes for two years and 2nd grade classes weekly for five years at E.J. Arthur Elementary School in Athens, NY … and that’s how he came to know the Humphrey books. 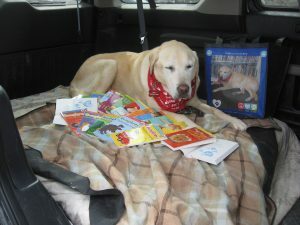 Allison donates Humphrey books to students in the classes … and the books are “pawtographed” by Thabiso! He also recently was loaned to a school where several children were victims of a terrible tragedy and he helped comfort their classmates. This is work. This is hard work. And it’s something that dogs do so well. Our own departed but still beloved dog, Desi, created jobs for herself. She would have loved to have had a REAL job but looking after rather limited humans was her lot in life. Yes, she thought we were limited, with extremely poor senses of smell and hearing but an uncanny ability to score yummy food! She was a true pack dog with a rather paltry pack. One of the ways she showed her allegiance to our pack was the fact that she would lie outside the room of whichever person was the last one still in bed, facing outward so she’d see the enemies coming. She wouldn’t budge until that family member got up. She also thoroughly searched the perimeter of our yard (which has some rather wild areas) first thing in the morning and last thing at night. She checked every inch without fail to see if any critters had crossed the line. When they did, she took care of that situation with many “notches”” in her collar for ridding the yard of possums, skunks (not a good idea), squirrels and other rodents -no hamsters, thank goodness! I am not making light of her work. She was the smartest dog I’ve ever known and took her job seriously. 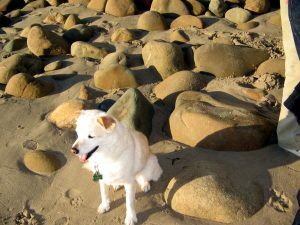 She was a playful pet and sympathetic friend to my son, but also always on alert for anything that wasn’t quite right. She was not the kind of dog who sat at your feet, but rather sat outside of the circle, facing out, watching for danger. But we had a blind friend and somehow she sensed Carolyn couldn’t see. She would plant herself at Carolyn’s side so she could pet her easily and would NEVER get under her feet. She was the only visitor who received this treatment. I’m sorry Miss Desi didn’t meet Thabiso. She would have loved his job! 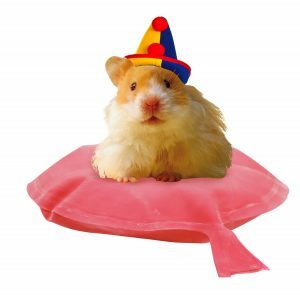 Time to celebrate the new year – and the whoopee cushion Santa brought me! And what better occasion to celebrate than a brand-new book. 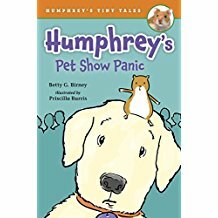 Yep, January 2 is a book birthday for my new Tiny Tales book, HUMPHREY’S PET SHOW PANIC. Ta-da! And guess whose head I’m sitting on? Yep, it’s the return of Clem, Miranda’s dog from THE WORLD ACCORDING TO HUMPHREY! And there are so many other animals at the pet show, from dogs, cats and rabbits, to a frog named Og – oh, you know him! I even get to see my old pal, Winky. With so much competition, I’m not sure I can possibly win. But my classmates are counting on me to bring home a prize. And I have bigger things to worry about, like Clem. No wonder I’m in a panic! You never know what you’ll find in your inbox. On Friday, I had an email with news that made me surprised and HAPPY-HAPPY-HAPPY. Humphrey’s Mixed-Up Magic Trick, one of the Tiny Tales, was named a 2018 GREAT WORDS, GREAT WORKS title by the Scripps National Spelling Bee. That’s the big one! 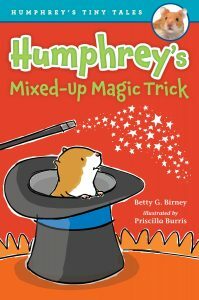 Humphrey’s Mixed-Up Magic Trick has been selected as one of five 2nd grade fiction books. If you know Humphrey, you know that spelling is very important to him. He faithfully takes the spelling tests along with his fellow classmates in Room 26. Alas, he has not yet gotten 100%, like Sayeh, but one day maybe he will. NEVER-NEVER-NEVER give up! I am an unsqueakably good speller …. for a hamster! Spelling is important to me as well! I was always a naturally good speller as were my parents and sister. I often won or tied for the school spelling bee and my sister ended up on the local St. Louis televised spelling bee in the ’50s. Early TV, just kids on folding chairs and no real set. My sister didn’t like the limelight much. I was watching at my grandparents’ house, but when she finally missed on the word “phenomenal,” she looked greatly relieved! The funny thing is, I always get hung up on that word even today. I think it’s because “phenomenon” has the “o” but “phenomenal” has an “a.” Or did I get that mixed up too? 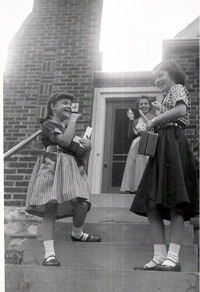 Big Sister Janet and me around the time of the spelling bee. Rock ‘n’ roll was the big new thing back then! Rock Around the Clock! I like Humphrey to use interesting words and there is lots of wordplay in the books. (I often wonder how that works in translation.) 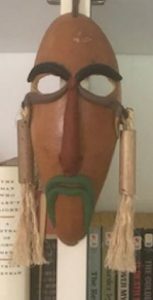 Remember “Piewhacked” from Mysteries According to Humphrey? So any honor that has to do with spelling, words and phenomenal vocabulary makes me unsqueakably glad. Oh, and I really like that particular book. My son was heavily into magic tricks as he was growing up and we all had a lot of fun with it. You can even learn a phenomenal trick in the book!